Η δημιουργική πορεία του ανθρώπινου είδους σηματοδοτήθηκε κυριολεκτικά και μεταφορικά, από την αμφίδρομη νοητική κι εκτελεστική ανάπτυξή του. Παράλληλα, η πνευματική υπεροχή του ταυτίστηκε με την ανατομική και λειτουργική εξέλιξη της άκρας χείρας,1,2 μιας ιδιόμορφης και πολύπλοκης κατασκευής με πολυάριθμες αρθρώσεις και υψηλούς βαθμούς ελευθερίας κίνησης που λόγω της συμμετοχής της στο σύνολο σχεδόν των καθημερινών δραστηριοτήτων, ρέπει προς πλήθος αισθητικοκινητικών δυσλειτουργιών.3-7 Με αφορμή τη συμβολή της δια χειρός φυσικοθεραπείας (manual therapy) στην διατήρηση της λειτουργικότητας της άκρας χείρας,8 η παρούσα εργασία διαπραγματεύεται κλινικές καταστάσεις όπου το ¨χέρι φροντίζει το χέρι¨. Young RW, Evolution of the human hand: the role of throwing and clubbing. Anat 2003;202:165-174. Napier JR, The prehensile movements of the human hand. J Bone Joint Surg 1956;38B(4):902-913. Cobos S, Ferre M, Aracil R, Ortego J and Sanchéz-Urán MA, Simplified Human Hand Models for Manipulation Tasks. Cutting Edge Robotics 2010;10:155-174. Camus E, Carpal biomechanics: application to ligamentous injuries. In Camus E and Van Overstraeten L, Carpal Ligament Surgery 2013, (eds. )Springer-Verlag France;10:19-37. Raichle ΜΕ, MacLeod ΑΜ, Snyder ΑΖ, Powers WJ, Gusnard DA and Shulman GL, A default mode of brain function. PNAS 2001;98(2):676-682. Garg R, Cheung JPY, Fung BKK and Ip WY, Epidemiology of occupational hand injury in Hong Kong. Hong Kong Med J 2012;18(2):131-6. Bronfort G, Haas M and Evans R, Leininger B and Triano J, Effectiveness of manual therapies: the UK evidence report. Chiropractic & Osteopathy 2010;18(3):1-33. Ibrahim I, Khan WS, Goddard N and Smitham P, Carpal tunnel syndrome: a review of the recent literature. The Open Orthopaedics Journal 2012;6(Suppl 1: M8):pp.69-76. Bernard P, Workplace Factors: a critical review of epidemiologic evidence for work-related musculoskeletal disorders of the neck, upper extremity and low back. In Centers for Disease Control and Prevention 1997, National Institute for Occupational Safety and Health,S. department of Health and Human Services; Public Health Service. Siu G, Jaffe DJ, Rafique M and Weinik MM, Osteopathic manipulative medicine for carpal tunnel syndrome: a J Am Osteopath Assoc. 2012;112(3):127-139. Campbell JN and Meyer RA, Mechanisms of neuropathic pain. Neuron 2006;52:77-92. Marchettini P, Lacerenza M, Mauri E and Marangoni C, Painful Peripheral Neuropathies. Current Neuropharmacology 2006; 4(3):175-181.
International Association for the Study of Pain (IASP – www.iasp-pain.org). Lundborg G, Myers R and Powell H, Nerve compression injury and increased endoneurial fluid pressure: a “miniature compartment syndrome”. J of Neurol Neurosurg Psych 1983;46:1119-1124. Werner RA, Armstrong TJ, Bir C and Aylard MK, Intracarpal canal pressures: the role of finger, hand, wrist and forearm position. Clin Biomech 1997;12(1):44-51. Werner RA and Andary M, Carpal tunnel syndrome: pathophysiology and clinical neurophysiology: review article. Clin Neurophys 2002;13:1373-1381. Zhao C, Ettema AM, Berglund LJ, An KN and Amadio PC, Gliding resistance of flexor tendon associated with carpal tunnel pressure: a biomechanical cadaver study. J Orthop Res 2011;29(1):58-61.
van Doesburg MHM, van der Molen AM, Henderson J, Cha SS, An KN and Amadio PC, Sonographic measurements of subsynovial connective tissue thickness in patients with carpal tunnel syndrome. J Ultrasound Med 2012;31(1):31-36. Kim JK, Koh WD, Kim JS, Hann HJ and Kim MJ, Oxidative stress in subsynovial connective tissue of idiopathic carpal tunnel syndrome. J Orthop Res 2010:1463-1468. Dahlin LB, Sanden H, Dahlin E, Zimmerman M, Thomsen N and Bjorkaman A, Low myelinated nerve-fibre density may lead to symptoms associated with nerve entrapment in vibration-induced neuropathy: review article. J Occup Med and Toxic 2014;9(7):1-6. O’Connor D, Marshall S and Massy-Westropp N, Non-surgical treatment (other than steroid injection) for carpal tunnel syndrome. Cochrane Database Syst Rev 2003;(1). Armstrong TJ, Castelli W, Evans F and Diaz-Perez R. Some histological changes in carpal tunnel contents and their biomechanical implications. J Occup Med 1984;26:197-201. Atroshi I, Gummesson C, Johnsson R, McCabe SJ and Ornstein E. Severe carpal tunnel syndrome potentially needing surgical treatment in a general population. J Hand Surg [Am] 2003;28:639-644. Fernández-de-Las Peñas C, Ortega-Santiago R, de la Llave-Rincón AI, Martínez-Perez A, Fahandezh-Saddi Díaz H, Martínez-Martín J, Pareja JA and Cuadrado-Pérez ML. Manual physical therapy versus surgery for carpal tunnel syndrome: a randomized parallel-group trial. J Pain 2015;16(11):1087-94. Gelberman RH, Hergenroeder PT, Hargens AR, Lundborg GN and Akeson WH, The carpal tunnel syndrome. A study of carpal canal pressures. J Bone Joint Surg Am 1981;63(3):380-383. Rasras S, Fallahpour S, Saeidian SR, Zeinali M and Aslani A, Prevalence of concurrent disorders of ulnar nerve entrapment at the elbow and carpal tunnel syndrome Ahvaz Imam Khomeini Hospital during 2009 to 2012. Int J Adv Biol Biom Res 2014;2(6):1991-1996.
ganglion cyst causing median neuropathy. Case report & literature review. Am J of Orthop 2006;April:1-3. Goetz JE and Baer TE, Mechanical behavior of carpal tunnel subsynovial connective tissue under compression. The Iowa Orthop J 2010;31:127-132. Patel N, Effectiveness of mobilization with movement of elbow compared with manipulation of wrist in patients of lateral epicondylitis. Int J Physiother Res 2013;01(4):177-82. Kostopoulos D, Treatment of carpal tunnel syndrome: a review of the non-surgical approaches with emphasis in neural mobilization. J of Bodywork and Mov Ther 2004;8:2-8. Manchanda V, Effect of neural mobilization and splinting on carpal tunnel syndrome. Int J Phys & Rehab 2013;(1). Ellis RF and Hing WA, Neural mobilization: a systematic review of randomized controlled trials with an analysis of therapeutic efficacy. J of Man & Manip Ther 2008;16(1): 8-22. Chammas M, Boretto J, Burmann LM, Ramos RM, Francisco Neto FCS and Silva JB, Carpal tunnel syndrome – part I (anatomy, physiology, etiology and diagnosis): review article. Rev Bras Ortop 2014;49(5):429-436. Graham B, The value added by electrodiagnostic testing in the diagnosis of carpal tunnel syndrome. J Bone Joint Surg Am 2008;90(12):2587-2593. Jordan R, Carter T and Cummins C, A systematic review of the utility of electrodiagnostic testing in carpal tunnel syndrome. Brit J Gen Practice 2002;52:670-673. Armstrong T, Dale AM, Al-Lozi MT, Franzblau A and Evano BA, Median and ulnar nerve conduction studies at the wrist: criterion validity of the NC-stat automated device. J of Occup and Environmental Med 2008;50(7):758-64. Levine DW, Simmons BP, Koris MJ, Daltroy LH, Hohl GG, Fossel AH and Katz JN, A self-administered questionnaire for the assessment of severity of symptoms and functional status in carpal tunnel syndrome. J Bone Joint Surg 1993:75A(11):1585-1592. Lopez DP, Heras CB, Mendieta EM, Perez SS, Canitro AU and Mola EM, Validity and usefulness of echography in the carpal tunnel syndrome. Reumatol Clin 2008;4(3):100-106. Heiser R, O’Brien VH and Schwartz DA, The use of joint mobilization to improve clinical outcomes in hand therapy: a systematic review of the literature. Journal of Hand Therapy 2013;26:297-311. Turner A, Kimble F, Gulyas K and Ball J, Can the outcome of open carpal tunnel release be predicted? A review of the literature. ANZ J Surg 2010;80(1-2):50-4. Cansu E, Heydar AM, Elekberov A and Unal MB, Neglected lunate dislocation presenting as carpal tunnel syndrome. Cas Rep Plast Surg Hand Surg 2015;2(1):22-24. Carlson H, Colbert A, Frydl J, Arnall E, Elliot M and Carlson N, Current options for nonsurgical management of carpal tunnel syndrome. Int J Clin Rheumtol 2010;5(1):129-142. Antoine JC, Robert-Varvat F, Maisonobe T, Creange A, Franques J, Mathis S, Delmont E, Kuntzer T, Lefaucheur JP, Pouget J, Viala K, Desnuelle C, Echaniz-Laguna E, Rotolo F, Camdessanche JP and the French CIDP group, Testing the validity of a set of diagnostic criteria for sensory neuronopathies: a francophone collaborative study. J Neurol 2014;261:2093-2100. Khalid A.O.Al-Dabbagh and Shorsh Ahmad Mohamad, Al, Sensitivity and specificity of Phalen’s test and Tinel’s test in patients with carpal tunnel syndrome. Diyala J of Med 2013;5(1):1-14. Urbano FL, Tinel’s sign and Phalen’s maneuver: physical signs of carpal tunnel syndrome: review of clinical signs. Hosp Physician 2000;July:39-44. Oskouei AE, Talebi GA, Shakouri SK and Ghabili K, Effects of neuromobilization maneuver on clinical and electrophysiological measures of patients with carpal tunnel syndrome. J Phys Ther Sci 2014;26:1017-1022. Anderson M and Tichenor CJ, A patient with De Quervain’s tenosynovitis: a case report using an Australian approach to manual therapy: case report. Phys Ther 1994;74:314-326. Struijs PAA, Damen PJ, Bakker EWP, Blankevoort L, Assendelft WJJ and van Dijk CN, Manipulation of the wrist for management of lateral epicondylitis: a randomized pilot study. Phys Ther 2003;83:608-616. Tal-Akabi A. and Rushton A, An investigation to compare the effectiveness of carpal bone mobilisation and neurodynamic mobilisation as method of treatment for carpal tunnel syndrome. Manual Therapy 2000;5(4):214-222. Duchateau J and Hainaut K, Effects of immobilization on contractile properties recruitment and firing rates of human motor units. J of Physiology 1990;422:55-65. Lagueux E, Charest L, Lefrançois-Caron E, Mauger ME, Mercier E, Savard K and Tousignant-Laflamme Y, Modified graded motor imagery for complex regional pain syndrome type 1 of the upper extremity in the acute phase: a patient series. Int J Rehab Res 2012; 35(2):138-145. Najiha A, Alagesan J, Rathod VJ and Paranthaman P, Mirror therapy: a review of evidences. Int J Physiother Res 2015; 3(3):1086-90. Moseley G, Reflections, imagery, and illusions: the past, present and future of training the brain in CRPS: review article. RSDSA 2009;22(1):9-10. Malhofner C, Handwerker HO, Neundorfer B and Birklein F, Patterns of cortical reorganization in complex regional pain syndrome. Neurology 2003;61(12):1707-1715. Wand BM, Parkitny L, O’Connell NE, Luomajoki H, McAuley JH, Thacker M and Moseley GL, Cortical changes in chronic low back pain: current state of the art and implications for clinical practice. 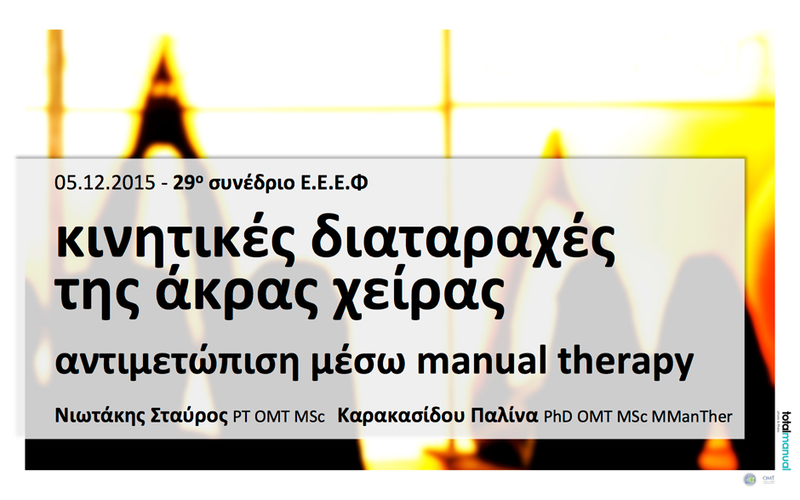 Manual Therapy 2011;16:15-20. Schaer M, Cuadra MB, Schmansky N, Fischl B, Thiran JP and Eliez S, How to measure cortical folding from MR images: a step-by-step tutorial to compute local gyrification index. J Vis Exp 2012;59:3417.
low back pain. Brain 2008;131:2161-2171. Rizzolatti G, Fabbri-Destro M and Cattaneo L, Mirror neurons and their clinical relevance: review article. Nature Clinical Practice-Neurology 2009;5(1):24-34. Langer N, Hanggi J, Muller NA, Simmen HP and Jancke L, Effects of limb immobilization on brain plasticity. Neurology 2012;78(3):182-188. Lissek S, Wilimzig C, Stude P, Pleger B, Kalisch T, Maier C, Peters SA, Nicolas V, Tegenthoff M, and Dinse HR, Immobilization impairs tactile perception and shrinks somatosensory cortical maps. Current Biology 2009;19(10): 837-842. Daffada PJ, Walsh N, McCabe SC and Palmer S, The impact of cortical remapping interventions on pain and disability in chronic low back pain: a systematic review. Physiotherapy 2015;101:25-33. Huber R, Ghilardi MF, Massimini M, Ferrarelli F, Riedner BA, Peterson MJ and Tononi G, Arm immobilization causes cortical plastic changes and locally decreases sleep slow wave activity. Nature Neuroscience 2006;9:1169-1176. Amunts A, Schlaug G, Jancke L, Steinmetz H, Schleicher A, Dabringhaus A and Zilles K, Motor cortex and hand motor skills: structural compliance in the human brain. Human Brain Mapping 1997;5:206-215. Ezendam D, Bongers RM and Jannink MJA, Systematic review of the effectiveness of mirror therapy in upper extremity function. Disability and Rehabilitation 2009;31(26):2135-2149. Rizzolatti G and Craighero L, The mirror-neuron system. Annu Rev Neurosci 2004;27:169-192. Keysers C and Gazzola V, Social neuroscience: mirror neurons recorded in humans, Current Biology 2010;20(8):353-354. Johansen-Berg H, Dawes H, Guy C, Smith SM, Wade DT and Matthews PM, Correlation between motor improvements and altered fMRI activity after rehabilitative therapy. Brain 2002;125:2731-2742. Ramachandran VS and Altschuler EL, The use of visual feedback, in particular mirror visual feedback, in restoring brain function: review article. Brain 2009:132;1693-1710. Moseley GL, Graded motor imagery for pathologic pain: a randomized controlled trial. Neurology 2006;67:2129-2134. Moseley GL, Graded motor imagery is effective for long-standing complex regional pain syndrome: a randomized controlled trial. Pain 2004;108:192-198. Rothgangel AS, Braun SM, Beurskens AJ, Seitz RJ and Wade DT, The clinical aspects of mirror therapy in rehabilitation: a systematic review of the literature. Int J Rehabil Res 2011;34(1):1-13. Bowering LJ, O’Connell NE, Tabor A, Catley MJ, Leake HB, Moseley GL and Stanton TR, The effects of graded motor imagery and its components on chronic pain: a systematic review and meta-analysis. The Journal of Pain 2013;14(1): 3-13. Moseley GL, Gallace A and Spence C, Is mirror therapy all it is cracked up to be? Current evidence and future directions. Pain 2008;138:7-10. Conceição LP, Souza P and Cardoso LA, The influence of mirror therapy on functional limitations of hemiparetic patients: a systematic review. Acta Fisiatr 2012;19(1):37-41. Mancini F, Longo MR, Kammers MPM and Haggard P, Visual distortion of body Size modulates pain perception. Psychological Science 2011;22(3):325-330. Altschuler EL and HU J, Mirror therapy in a patient with a fractured wrist and no active wrist extension. Scand J Plast Reconstr Surg Hand Surg 2008;42(2):110-111.